Looking for writing classes or ways to connect with other writers in your area? We’re gathering information on writing organizations across Washington state. Some opportunities are fee-based, but many are free or low cost. Take a look at what we have here, and if you have additions, please email us at wacenterforthebook@gmail.com. Cascade Writers: community of writers and readers of various skill levels and genres; workshops and programs. Eastside Romance Writers: An affiliated chapter of the Romance Writers of America. Monthly programs. Greater Seattle Romance Writers of America: Chapter of the Romance Writers of America. Inland Empire Chapter of RWA (Spokane) : Chapter of the Romance Writers of America. Inland Northwest Writers Group: Networking, support and meetups. 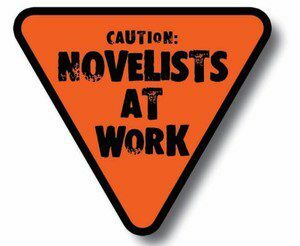 Mystery Writers of America – Northwest Chapter: For mystery writers and others in the field in Washington, Oregon, Idaho, and Alaska. 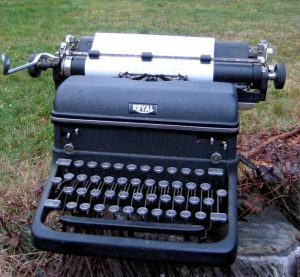 National Novel Writing Month: Free registration to participate in NaNoWriMo in November; find local write-ins and resources via national website. Northwest Science Writers Group: Science writing for the general public. Olympia Chapter RWA: Chapter of the Romance Writers of America. Pacific Northwest Writers Association: Monthly programs, literary contest, annual conference. Palouse Writers Guild (Moscow/Pullman): Networking resource that supports writers’ groups; author readings, workshops, writing contests, and conference attendance. Rivers of Ink: Supporting and empowering writers in the Mid-Columbia region. Seattle7Writers: Programs and events for emerging and established writers. Seattle Writes: Free classes, workshops, write-ins and podcasts for writers at Seattle Public Library locations. Sno-Isle Libraries: Write Now series offers free workshops and classes taught by published authors. Society of Children’s Book Writers and Illustrators / Inland Northwest: Programs, retreats and conference for adults writing for children and teens. The Society of Children’s Book Writers and Illustrators of Western Washington: Programs, retreats, and conference for adults writing for children and teens. Spokane Fiction Writers Group: Monthly meetings, presentations, and discussion; opportunities for collaboration and social interaction. Spokane Writers Conference: Annual conference sponsored by Spokane County Library District. Wordherders: Monthly meetings to discuss writing topics; multiple genres; networking (southeast Washington). Write in the Harbor: Regional writers’ community in Gig Harbor; hosted by Tacoma Community College. Write on the River: Community of writers, workshops and conference (Wenatchee). Check with your local library, community college continuing education courses, and at meetup.org for opportunities to grow as a writer and connect with other writers.